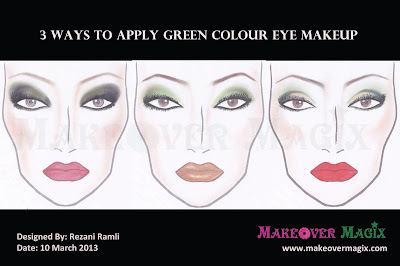 Makeup Buzz: Let's Go Green! 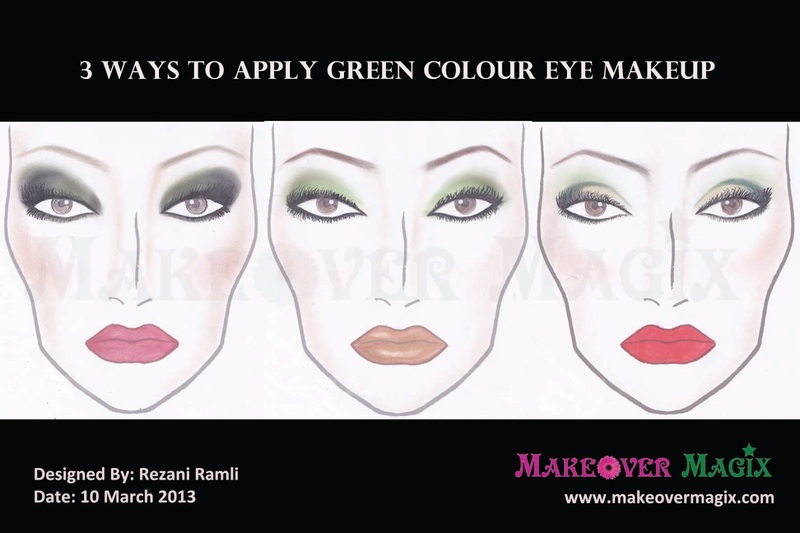 Here are the different eye makeup you can create just by using an eye palette of Black, Green, Gold / Yellow and, Beige / White. Using MAC Cosmetics Face Chart Template.